LibreOffice 3.6.3 is out, download now! Researchers WiFi performance by 700%, SkyDrive usage has doubled in the last six months, GSotW: MyPaint! 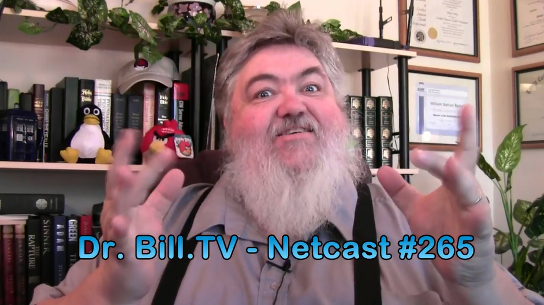 A walk-through of VideoBuzz, a YouTube on private Roku Channel! 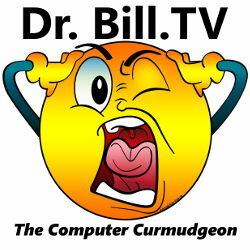 An announcement on Dr. Bill’s Roku Channel! 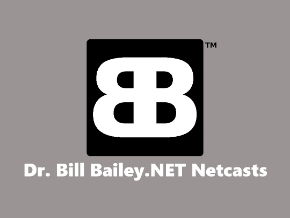 Geek Software of the Week: MyPaint! Are you an artiste? Do you fancy yourself one? Well, now you can art it up with MyPaint! 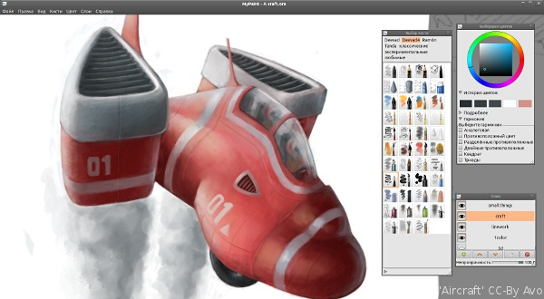 “MyPaint is a fast and easy open-source graphics application for digital painters. It lets you focus on the art instead of the program. You work on your canvas with minimum distractions, bringing up the interface only when you need it. Microsoft’s DropBox alternative, SkyDrive, is ramping up. I hooked up mine in my Windows 8 build on my laptop, but I still, personally use DropBox! “About 6 months ago, we released the first sync apps for SkyDrive making it easy to view and manage your personal SkyDrive from the File Explorer in Windows and Finder in OS X. We’re excited to announce that since then, you have put more and more of your files into your own SkyDrive and in the last 6 months, you’ve doubled the amount of SkyDrive storage being used. We’re both humbled and excited by this pace of growth. 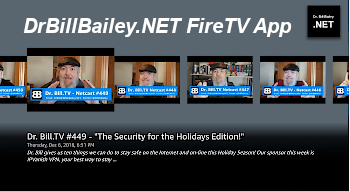 While many of you have told us that you love being able to have everything in one place and access it from anywhere, you’ve also said that sometimes you want to be more selective with the files you sync to each device. So today, we’re releasing an update to our sync apps that includes the ability to select what you sync along with the ability to share files and folders right from the Windows File Explorer. In addition, we’ve just released a few updates to the SkyDrive apps for Windows Phone and Android improving how you access your SkyDrive across different devices. Between these updates and the way SkyDrive comes with Windows 8 and the new Office, we’re excited to see how fast your SkyDrive storage usage will grow in the next 6 months. Speed Up WiFi? Yes, Coming Soon! Go NC State! Researchers there have come up with a cool way to increase WiFi speed in existing routers via a software upgrade! As much as 700%! How cool is that? “Conferences, airports, cafes – they might offer free WiFi to visitors, but they are often sluggish in their operation because everyone else is hogging the connection. The team says that when they tested the software on a router in their labs capable of handling 45 users, it saw improvements of between 400 and 700 percent when it reached the maximum number of users. On average, the router was able to respond to data requests four times faster than a router that didn’t utilize the protocol. Purely software based, WiFox has the potential to change the way heavily-trafficked routers operate around the world. LibreOffice, Version 3.6.3, is Out! My favorite office suite has a brand spanking new release! “The Document Foundation (TDF) announces LibreOffice 3.6.3, for Windows, MacOS and Linux. This new release is another step forward in the process of improving the overall quality and stability for any kind of deployment, on personal desktops or inside organizations and companies of any size. LibreOffice has quickly become the de facto standard for migrations to free office suites, thanks to the growing feature set and the improved interoperability with proprietary software. Instrumental for the overall progress is the growing developer base, which has just reached the number of 550 since the launch of the project, making LibreOffice one of the fastest growing free software projects of the decade. 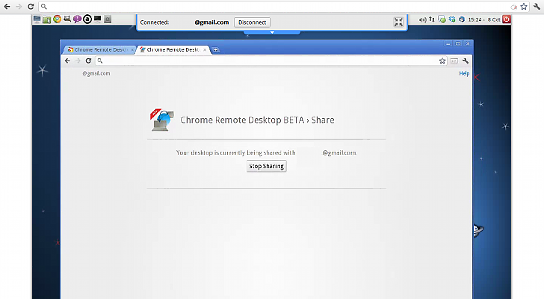 Geek Software of the Week: Chrome Remote Desktop! Much more functional than the original beta version! Even allows sound from the remote system! Give it a try, it’s free! 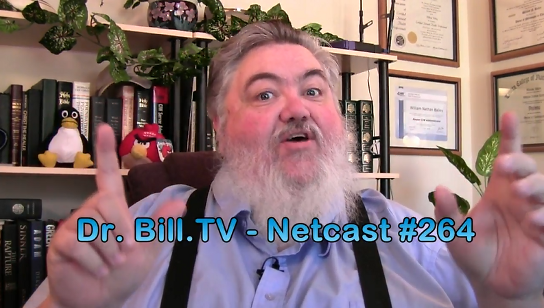 “Access other computers or allow another user to access your computer securely over the Internet. Firefox is 8 Years Old Today! “On November 9 2004, eight years ago today, the Mozilla foundation launched the first version of Firefox. This anniversary may be confusing for some, as we’ve recently compiled a timeline of Firefox’s first 10 years. This is because the browser that would eventually become Firefox, called Phoenix, was actually launched as a beta in 2002. When the first full version of the browser was launched in 2004, it was renamed to Firefox. Mozilla’s open source browser was seen as a breath of fresh air at the time when Microsoft’s Internet Explorer 6 dominated the market share, annoying many users with its numerous security issues. Over the years, Firefox captured a sizable chunk of the market share from Internet Explorer, but in the last couple of years it has gotten some very serious competition in the form of Google’s Chrome and others. Currently, Firefox is the world’s third most popular browser, behind IE and Chrome.